Proctors Lawn Feed, Weed and Moss Killer, with its added high iron content, is a highly effective treatment for moss and other weeds while also giving your grass vital nutrition. Rather than spending a lot of time on separate treatments for all of these issues, our lawn weed, feed and moss killer quickly takes care of all three problems with one highly effective treatment. Ideal for use in spring and early autumn, you should see results within two to three weeks. Everyone wants a lush green lawn, but it’s not always easy to achieve. If your lawn is more yellow than green, the cause may be lack of iron. Iron deficiency causes chlorosis where the grass fails to produce enough of the chlorophyll responsible for the green colour in healthy grass. Not only will this make your grass look bad, it also means it will be weaker as it won’t be able to perform adequate photosynthesis leading to stunted growth and weaker root systems. The high iron content of Proctors Lawn Feed, Weed and Moss Killer can correct iron deficiencies, helping to boost chlorophyll production. This will quickly green up yellow grass, leaving you with a lawn that’s the envy of all your neighbours in no time. Unlike other weed and feed products, Proctors Lawn Feed, Weed and Moss Killer is micro-granular rather than mini-granular. This means each granule of our weed, feed and moss killer is smaller, resulting in as many as four times more granules per square metre for the same volume of product. As a result, you can achieve a more even application giving more consistent results and avoiding the risk of fertiliser burn. Recommended application rate: 70g sq. m.
If you want a lawn full of truly first class grass, Proctors Lawn Feed, Weed and Moss Killer is a must. Head to our online shop or give us a call on 0117 311 1217 to place and order. 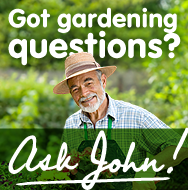 If you need any further information or advice on how to get the most out of your lawn, please let us know.